"Unfortunately, we will once again not be opening for the 2016 Halloween season. We so missed scaring you last year and will be sad to miss another year. As our film careers have grown, it has become increasingly difficult to dedicate the necessary time to create a haunt that lives up to our own standards. While we continue to tell stories in other forms, including our Crash the Super Bowl winning commercial “Doritos Dogs,” we are all proudest of the stories we got to tell through Sherwood Scare. We don’t currently have a firm idea of when we will reopen in the future but have hopes of returning in the years to come. We remain ardent supporters of unique forms of live theatre and haunted houses and we hope to see you out there at all the other wonderful Halloween experiences in the area this season." 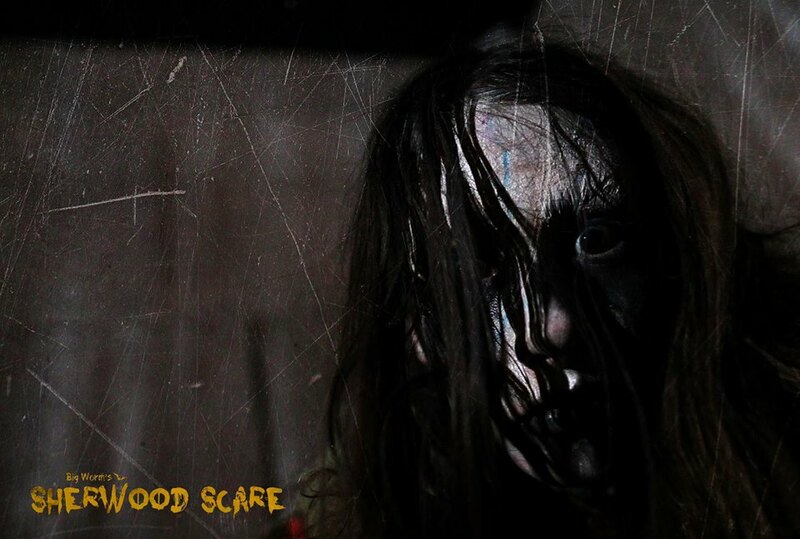 Created in 2012 to raise money to fight Cystic Fibrosis, Sherwood Scare is no mere decorated yard; it’s a full-blown walk-through terror tour, loaded with monsters and mayhem, that immediately established itself as ranking among the best amateur Halloween attractions in Los Angeles. Sherwood Scare made its debut with a traditional haunted house theme. In Halloween 2013 the backyard haunt was transformed into Camp Sherwood - a summer camp every bit as cozy and safe as Camp Crystal Lake. For Halloween 2014, the theme is Sherwood Studios, haunted by the ghost of a child actress who disappeared decades ago.